An architectural rendering of the new outpatient center. Image courtesy of HSHS St. John’s Hospital. 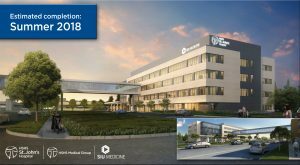 The installation of the HSHS St. John’s Hospital sky bridge over Ninth Street will begin at 8 p.m. on Wednesday, April 11. 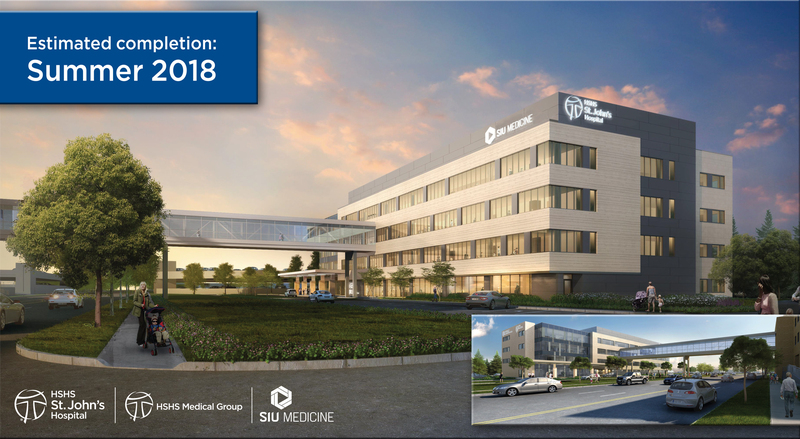 Once complete, the sky bridge will connect HSHS St. John’s Children’s Hospital to the new outpatient center for women and children that will house providers from SIU Medicine, HSHS Medical Group and St. John’s Hospital. St. John’s broke ground on the new outpatient center for women and children in June 2017. It and the sky bridge are expected to open this fall.